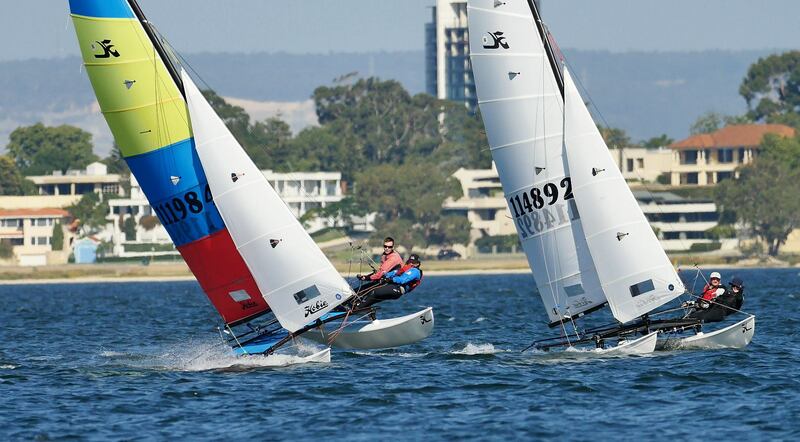 The Hobie 16 class is thriving in Western Australia and thirty-two boats contested the State Championships on the first weekend in March, hosted by Nedlands Yacht Club on the Swan River in Perth. Sailed in teams of two, the sixty-four sailors ranged from age 12 to 72. There are many couples and families sailing together in this one design class as well as friends who enjoy the competition and camaraderie. 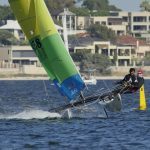 The class is known for its speed, colour and friendly atmosphere but there is certainly some hot competition on the water. Three titles were up for grabs, Grand Master (skippers aged 55 and over), Masters (skippers aged 45 and over) and the Open Division. Defending champions in both the Open and Masters divisions were Cam Owen and Susan Ghent, the pair are current Australian Champions. 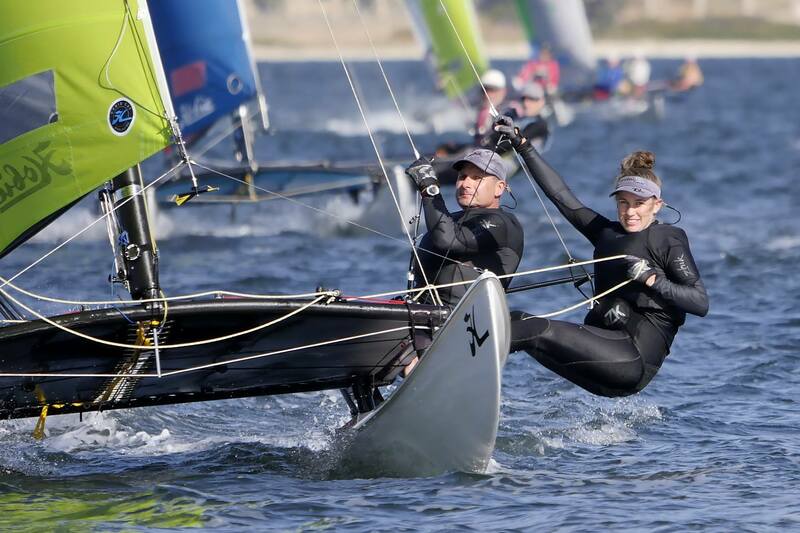 It would not be an easy event for the team with tough competition from eight times State Champion and multiple national champion Darren Smith sailing with Claire Bisgood and another previous state and national champion team, father daughter pair of Phil and Caitlyn Epps. 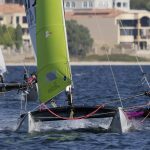 These three would race closely in the nine-heat series but if any mistakes were made there were many other pairs ready to grab the podium positions. Race Officer Paul Davis got the event off to a great start on Saturday with three races held in a range of conditions. The morning began with a light land breeze that challenged the teams with patches of wind to chase after to get the best speed and tactical advantage. The morning breeze eventually faded and after a short break, the seabreeze filled in and teams enjoyed a fresh and steady wind for the afternoon racing. Owen and Ghent showed their versatility across a range of conditions ending the day with three wins. Epps collected 9 points and Smith / Bisgood 12 points. 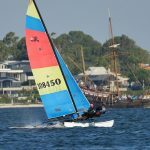 From Geraldton Yacht Club, Peter Redway / Samantha McDonald and Tony Marsh / Jess Felix had some good scores on the board as did local team Jason Spencer / Colleen Lutz who picked up a third and a fourth place. Similar wind conditions for Sunday, a light land breeze in the morning and a sea breeze in the afternoon. Smith / Bisgood had a rough start to the day suffering extensive damage to their boat during a collision and had to retire from the first race of the day. Several of their competitors offered their spare boats to the team, Smith/Bisgood went ashore and returned with their sails and equipment rigged on another boat, determined to continue. They achieved a 2,2,1 prior to the lunch break. Marsh / Felix were ready to pounce when Smith and Owen were busy fighting for a win and the team took a well deserved first place. 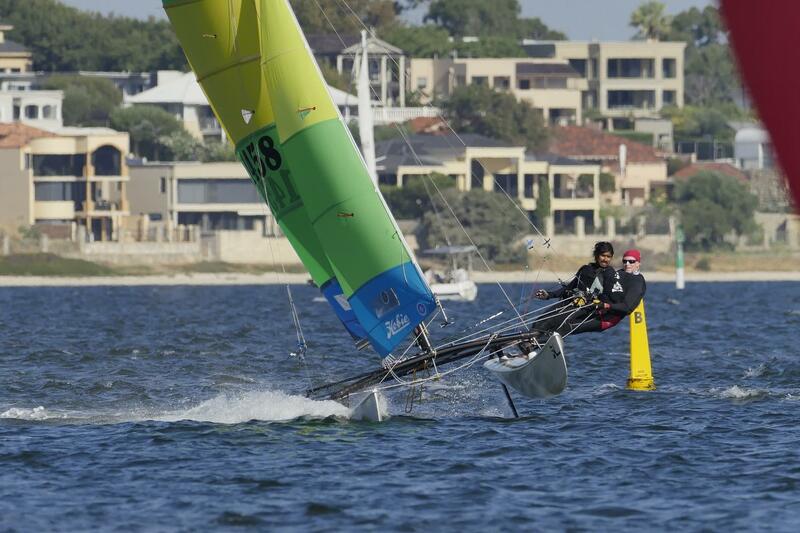 One of the great things about racing in the Hobie 16 class is the close and exciting racing for all teams. It is not just about the podium places, there are teams challenging each other and enjoying the competition right through the fleet. It is always tough racing on the water but ashore the fleet are good friends and support each other. There is plenty of sharing of knowledge and the WA fleet are being seen around the world with the excellent video footage being taken and shared on social media by local enthusiasts such as Lindsay Preece / Ironbark Photos. 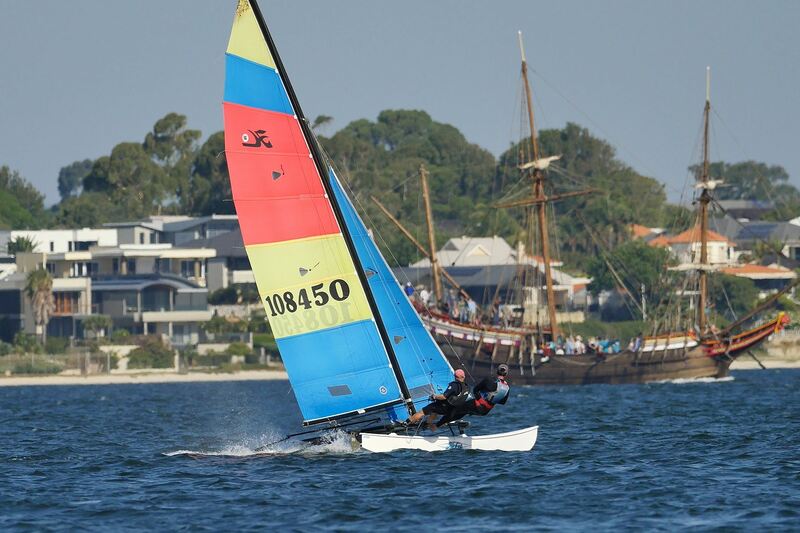 Father and son team, Paul and Tom Galloway from Esperance rarely have the opportunity to race in a big fleet of Hobie 16’s, their results improved over the weekend and they were very pleased with their afternoon and managed to make the top ten places overall. Youth team Sam Bateson (18) and Lachy Owen (13) were enjoying being on the water, they were having a lot of fun through the weekend and sailed well achieving a ninth and a tenth place in the Sunday morning session. The 2018 Grand Masters, Rod Hodgkin and Lucy Bromell did not defend their title this time around. The 2019 championship went to Tony Marsh and Jess Felix from Geraldton Yacht Club. 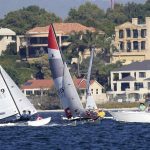 In the hotly contested Masters championship, the title went to defending champions Cam Owen and Susan Ghent from Nedlands Yacht Club / Royal Freshwater Bay Yacht Club. For the Open division, current Australian Champions Owen / Ghent were crowned 2019 WA State Champions with Darren Smith / Claire Bisgood (NYC) in second with Phil and Caitlyn Epps (GYC) in third. 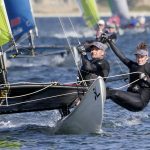 Also from Nedlands Yacht Club, Trent Robson / Kirsten Houk placed fourth and Jason Spencer / Colleen Lutz moved up in to fifth place overall. 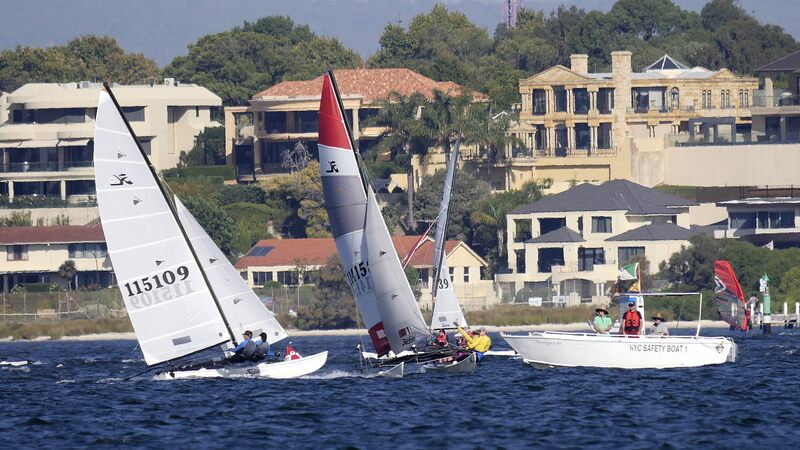 The next WA event for Hobie 16’s will be the annual Batavia Regatta held at Geraldton Yacht Club, five hours north of Perth, the popular winter regatta is held on the first weekend in June. 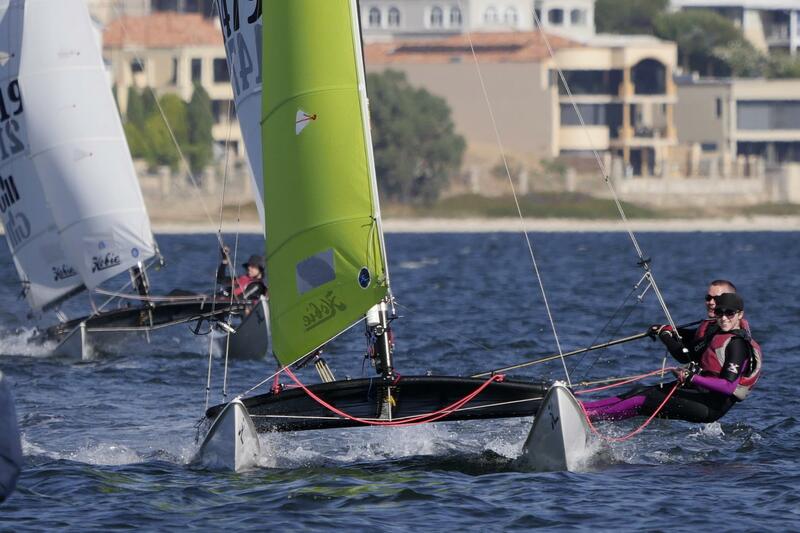 Many of the teams are now preparing for the 2019 Hobie 16 World Championships to be held in Florida in November. 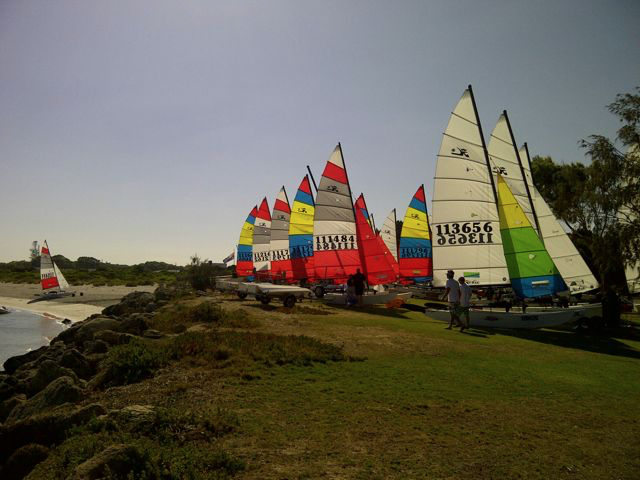 In December / January the HCAWA will host the 2019-2020 Australian Championship with Jervoise Bay Sailing Club, just south of Fremantle. 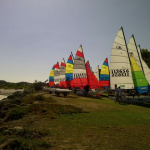 The idyllic venue is perfect for the Hobie class, especially the popular beach cat, the Hobie 16. 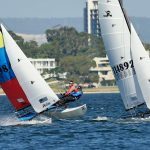 In partnership with Hobie Asia Pacific the HCAWA is planning a spectacular Australian Championship and the event website will be launched soon.